HealthyStuff.org researchers released a new study yesterday, which found an excess of lead, phthalates, cadmium, organotins and many other harmful and toxic ingredients in vinyl flooring, wallpaper and other building materials that children frequently come into contact with at home and school, posing a major health threat. Keep reading to learn more about this new study, the largest of its kind to date, including details of the health risks and ways to limit your child’s exposure to these harmful chemicals. Most vinyl flooring samples tested contain four phthalate plasticizers recently banned in children’s products. 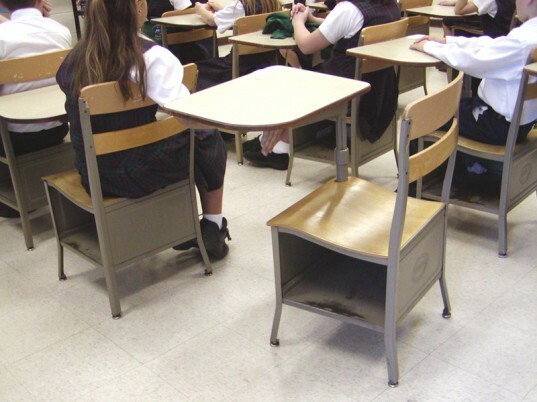 National brands, such as Armstrong and Congoleum, along with discount brands were tested and phthalates made equaled up to 8.5% by weight of the flooring materials. Most of the PVC wallpaper sampled also contained banned phthalates plasticizers. PVC building materials tested were seven times more likely to contain hazardous chemical additives than non-vinyl alternatives. The vast majority, 96%, of wallpaper samples contained polyvinyl chloride (PVC) coatings. Two-thirds of all PVC flooring tiles tested contained organotin stabilizers. Some forms of organotins are endocrine disruptors; and other forms can impact the developing brain and are toxic to the immune system. Over half of the PVC wallpaper samples contained one or more hazardous chemicals of concern, including lead, chromium, tin and antimony. Nearly one in five wallpaper samples contained detectable levels of cadmium. 52 of 1,016 of all flooring samples had detectable levels of lead. Some flooring contained more lead than others though, such as vinyl sheet flooring and vinyl tile flooring. 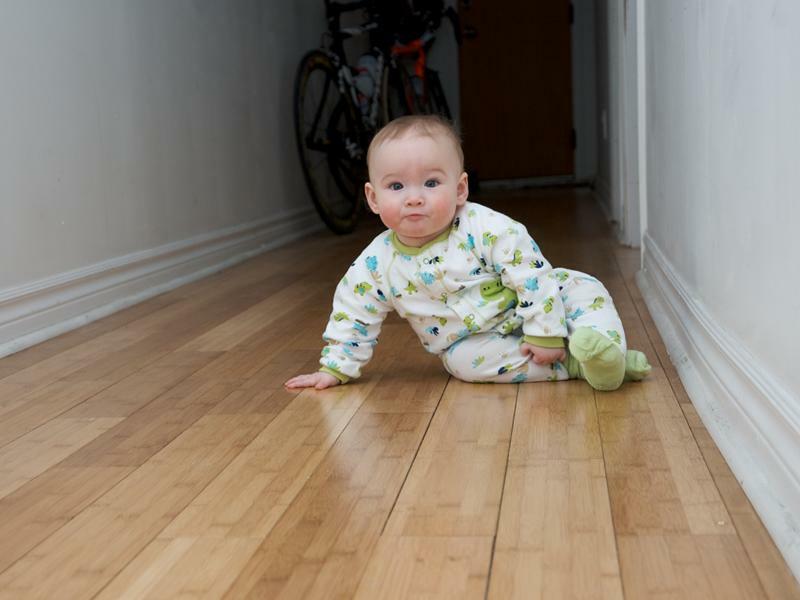 Phthalates, which are already banned from baby and children’s products, were found in abundance in the flooring and wallpaper tested. 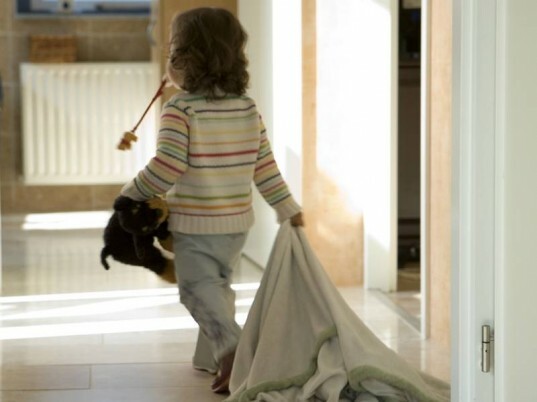 Phthalates are chemical additives used to soften PVC products and concentrations of these additives have been associated with wheezing among preschool children, especially when PVC flooring was in the child’s bedroom. Some phthalates also have endocrine-disrupting properties, even at low-level exposure. Also, studies show a link between phthalates and adverse impacts on the reproductive system, kidneys, liver and blood. Lastly, a 2009 Swedish study (Larsson 2008) found that children exposed to vinyl flooring that does emit phthalates, may be as much as twice as likely to develop autism. 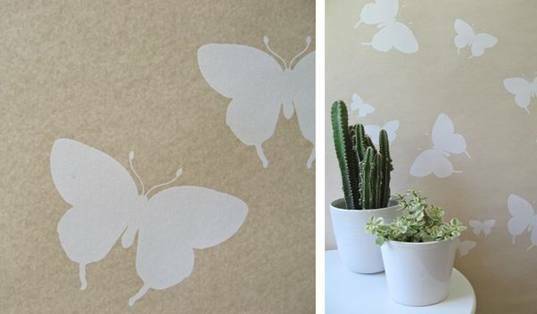 Cadmium, found in the wallpaper samples, can cause adverse health effects even at low levels. Negative effects of cadmium include lung damage, kidney disease and even cancer. Both flooring and wallpaper samples were found to have lead, which of course we now know is very unhealthy for kids. Short-term exposure to high levels of lead can cause vomiting, diarrhea, convulsions, coma or even death, but even low-level lead exposure is no picnic. Low-level lead exposure has been associated with appetite loss, abdominal pain, constipation, fatigue, irritability, headache and more. Plus, lead is known to cross the placenta, thereby making exposure for pregnant women a dangerous issue as well. As we’ve noted before, the chemicals above, along with other chemicals, can cause issues like early puberty in girls, allergic reactions, hyperactivity, heart disease, diabetes and more. Plus toxic chemical exposure costs our country billions. There’s no way around it – toxic chemicals are a lose-lose situation for everyone. Children are particularly vulnerable to these chemicals, since they tend to hang out frequently on the floor and do things like touch the walls then stick their hands in their mouths. Luckily, you can limit your child’s exposure with safer, healthy home products. For example, linoleum, cork, bamboo and hardwood all tested free of lead, cadmium, mercury and other hazardous metals. According to HealthyStuff.org, non-vinyl flooring products are half as likely, as vinyl flooring to contain hazardous chemical additives. Toxic wallpaper is 100% unnecessary. You can use non-toxic paint, vinyl-free wall decals and non-toxic vinyl-free wallpaper to decorate with plus help detox your home air quality with plants. To help create awareness, the Center for Health, Environment & Justice has launched a campaign to encourage schools to go PVC-free. Ask your school to go PVC free or search out healthy alternative schools and eco-friendly daycare centers. + See the full home improvement database at HealthyStuff.org. 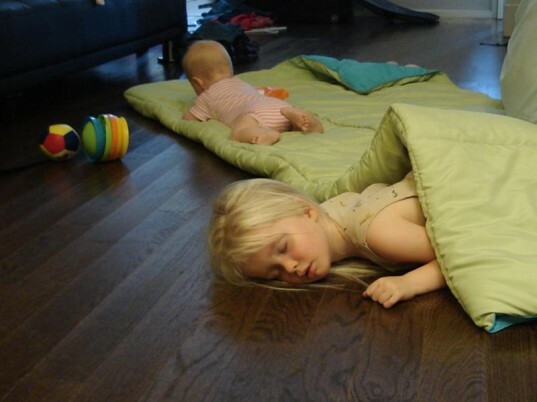 Images: Baby on floor © Flickr user turbulentflow, 2 kids on the floor © Flickr user bfhoyt, Migrate non-vinyl wallpaper via Mod Green Pod, Dining Room image via Image After, all other images sxc. HealthyStuff.org researchers released a new study yesterday, which found an excess of lead, phthalates, cadmium, organotins and many other harmful and toxic ingredients in vinyl flooring, wallpaper and other building materials that children frequently come into contact with at home and school, posing a major health threat.�Keep reading to learn more about this new study, the largest of its kind to date, including details of the health risks and ways to limit your child's exposure to these harmful chemicals.